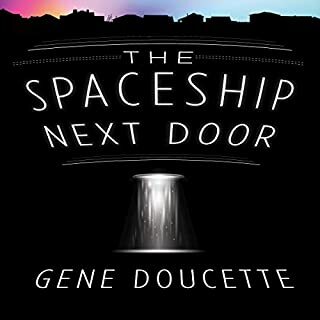 New, from the best-selling author of The Spaceship Next Door! Adam is on vacation in an island paradise, with nothing to do and plenty of time to do nothing. It's exactly what he needed: beautiful weather, beautiful girlfriend, plenty of books to read, and alcohol to drink. Most importantly, either nobody on the island knows who he is, or, nobody cares. Nothing last forever, though, and that includes the opportunity to do nothing. One day, unwelcome visitors arrive in secret, with impossible knowledge of impossible events, and then the impossible things arrive: a new species. It's all impossible, especially to the immortal man who thought he'd seen all there was to see in the world. Now, Adam is going to have to figure out what's happening and make things right before he and everyone he loves ends up dead in the hot sun of this island paradise. 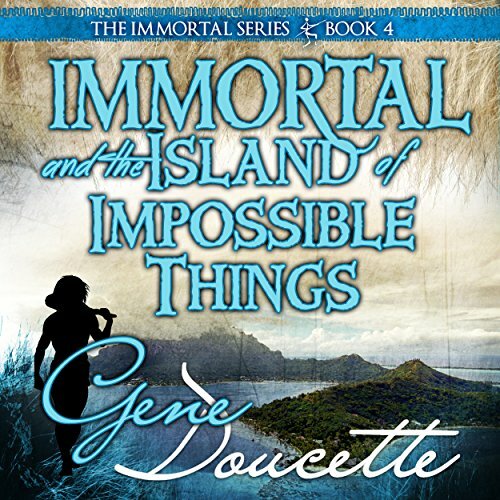 Immortal and the Island of Impossible Things is the fourth book in Gene Doucette's acclaimed Immortal novel series, and the start of a new adventure for Adam the Immortal man! 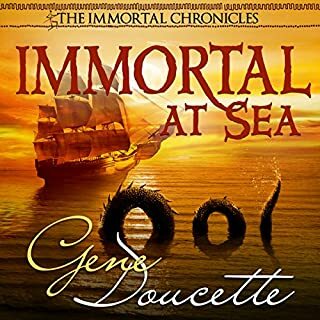 Catch up on all that's come before with Immortal, Hellenic Immortal, Immortal at the Edge of the World, and the novellas in The Immortal Chronicles and Immortal Stories: Eve. One of my friends saw me out running the other day, laughing, and with a huge smile on my face. That because I found this series just a little while ago as a distraction to help me through my runs and long walks. I don’t like running so anything to push me through is a bonus. 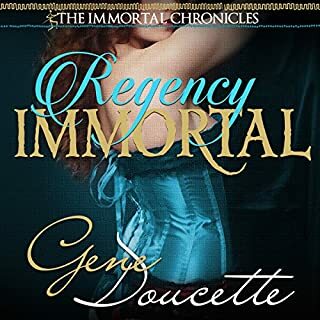 This series takes the odd topic of immortality and turns it into a comic adventure, almost a comedian’s stage sets over various episodes, of dalliances over a lifetime, or rather time itself. It is brilliantly performed too with nuanced personalities showing up here and there, asking questions of the listener, dismissing incredulity, imprinting the various “beasts” as “why nots” and somehow we believe the author is tapped in to the unknown. We soon believe and are laughing about Buster, the doglike dragon or some foot tall afreet or however the hell you spell that, belching and . . . well, doing all the things no one in their right, sober mind would ever think of doing. 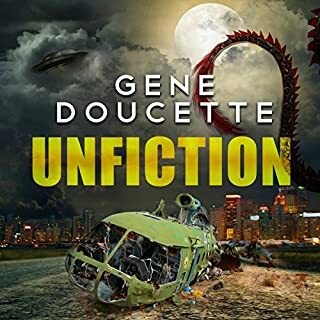 This other world of Mr. Doucette’s is roundly written, brought to hysterical reality and then given harmony by Mr. Carlson, and while I only recently discovered these two, author and narrator, it is the reason we should roll the dice on authors and plot lines, and go enjoy the run, while laughing our butts off! This books needs a sequel! Wonderful series, but book 4 requires a sequel. Seems to stop in the middle of a critical scene. Still will recommend entire series. Before I selected this series, I read some reviews that provided negative feedback. I was not sure about the selection but since audio allows you to return it, I have it a try. I have not been able to pull away from the series. I love it, it is funny and light and has a great spin to the immortal and fantasy aspect. Some stories are a little far fetched but still entertaining. I do not always need logic, thank goodness. I love this series with Adam and his adventures. Waiting to see what is going on with Eve. I love the immortal series including the novellas which do not need to be read in any order as the main novels do. 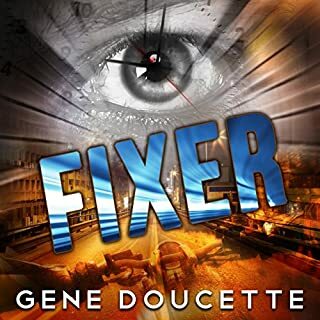 The 3rd book in the series was good but to me started to decline just a little or maybe I was just in need of new series since I read all of them in a row. That being said a few months went by and I saw his 4th book in the series came out and am I glad I found it! This book was awesome, it had everything I had come to love about the series!! Adam is funny as always with problems only a 60,000 year old man can have. I love the interplay of all the mythical creatures and how most of the stories humans know are not true. The first 3 books introduced you slowly to all of these creatures. The 4th book now has Adam on an Island filled with all of them as a creature vacation spot. It picks up nicely from the last 3 books and puts adam and these creatures against a never before seen foe!! If you liked the first 3 you will love this one! Oh it ends on a cliffhanger and now I'm dying for book 5!!! these books are great if you read the first 3 then you already know, cant wait for the next one. 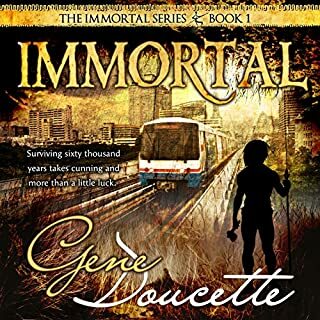 another great book in the series of immortal. nice book I like Adam or as used to be called er . when you've lived 60000 years give or take a couple of days you learn a lot you know a lot but sometimes you don't know nothing good book.